I enjoy some NA novels, and I liked the sound of this one. Sadly though it didn’t live up to the promise. 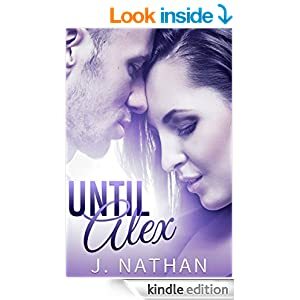 I found it quite slow to start, and the things that had happened and were happening to Alex and Hayden were for me a bit too OTT, too far from reality for a novel thats set in real time, without any backing information or details. The actions seemed suspended from what would/could really happen. I know there’s a necessity to keep the reader guessing at whats going on, to keep some information back, but for me this went a little too far. Then there was some of the behaviours of them both…at times it was just too YA for me. That could be just me, after all I’m long past the NA target, despite enjoying many books in this genre, so that needs to be taken into consideration, that younger readers may be able to accept things that I couldn’t. I liked the characters, they felt very real but I just struggled with how they behaved some of the time. 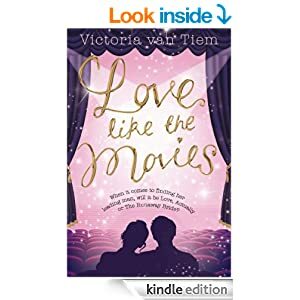 Love Like the Movies, Victoria Van Tiem. I’m a reader, rarely watch TV but Him Indoors is a real film addict, especially old films. An Affair to Remember is one of his Classics, so I know lots of snippets from films, even though I don’t watch them. This book is peppered with quotes and scenes from films, and especially that one and Pretty Woman, which even I have watched! I loved the way Shane took those beautiful moments from their past, linked them to films and used them to remind Kensington of their past, of who she used to be, what she’s left behind….it was clear he still loved her and she’d never really mentally let him go. He passed her friends TFT ( tummy flip test) even though her fiance Bradley didn’t. But Bradley loved her, her family loved him and it was time she got marreid and had a family…wasn’t it? It plays out really well, I had some first impressions of her family that changed as we got to know them better, I didn’t like Bradley but didn’t know what had been going on with him, although as the story continued and there were clues I began to suspect…Victoria has a way of presenting people and themes, and then changing them around so I learned that Ren wasn’t as she seemed, that Kensingtons parents were’t quite as uninterested in her as they seemed, that Bradley – well…you’ll find out. Shane, ah he was great, I loved the way he organised things, loved the restaurant scene even though that’s a film I don’t know…loved the dirty dancing bit ( daughter’s fav film since she was a child), loved the paintball part 🙂 that really made me laugh. It’s a fun read, with a good solid romance, and people who feel real, flawed as we all are, every office has its people just as they are here, some good, some all out for themselves, some who just want to take what others have. Stars: I’m hovering…not quite a five, bit more than a four, four and a half.